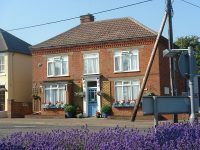 White Horse Farm has a range of converted outbuildings set amid lovely landscaped grounds in a pea ceful rural location close to the north Norfolk coast. 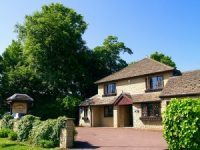 Sweet pea is a self-contained bed and breakfast unit situated in a courtyard next to the self-catering units which are themselves adjacent to the main building. Sweet pea is tastefully furnished and has a separate lounge with exposed beams and a wood-burner.